The party professionals covering events nationally. We have a whole team of people who are dedicated in making sure you fondly remember your party or event. Mr Softee candy cart is our fully equipped 'Whippy Ice Cream Van'. Choose your ice cream, choose your topping and choose your sauce. Available for both children and adult events in addition to more formal occasions such as weddings and christenings. We have a number of large bouncy castles and slides which are great for boys, girls and adults alike. Great fun is guaranteed by all. We also supply a whole array of hot and cold foods in addition, we also have a self sufficient Coffee unit. Highly recommended. Would definitely use again for future events. Rich and the team were fantastic. From their happy, smiling faces to the great ice cream... they really added to the atmosphere of our event. They were great and we all want to thank them so much. Delicious ice cream, fantastic service. 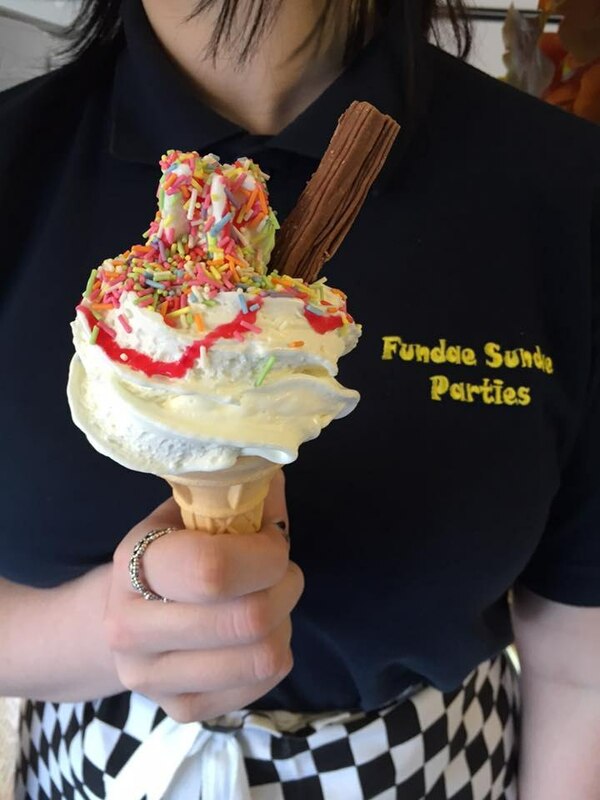 Fundae Sundae Parties were brilliant, prior to the event they were great and communicative and very helpful with any questions I had. On the day of the event they were there early to set up. They were really friendly and lots of fun throughout the day. There were lots of choices of ice cream, they were delicious and really good value for money. 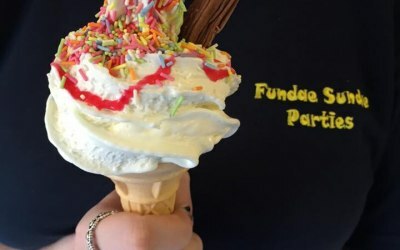 I thoroughly recommend booking with Fundae Sundae Parties, you will not regret it. Fantastic! Reliable and Great Service! Fundae Sundae attended our school summer fun day and although it was very wet they still honoured our booking, turned up and offered a great service to everyone who attended. Thank you so much, look forward to booking you again. Get quotes from Fundae Sundae Parties and others within hours.